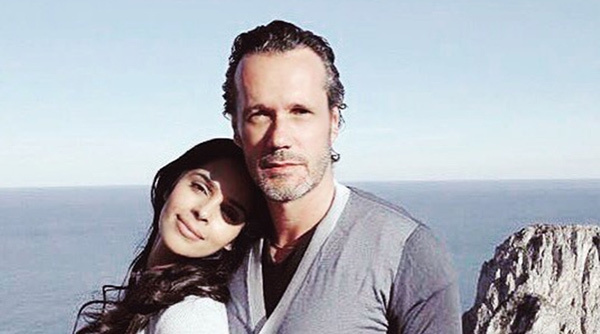 Hollywood and Bollywood actress Mallika Sherawat is all excited to come home (India) that to with boyfriend Cyrille Auxenfans. Seems like, she wants Cyrille to experience the ‘desi love’ that the people and country share. Beautiful Mallika broke the news about her love life on #fame, a live video social platform, where she opened up about her beau. This news broke hearts worldwide! Mallika said: “I am proud of him and will soon get him to Mumbai. He has shown Paris to me and has romanced me the French style, now I will romance him the Indian style! I will take him to the Taj Mahal, and make him have street food.. You know the typical Indian flavour, that’s what I want to do.” When Mallika was asked about her cooking skills, she said: “I love juicing fruits and vegetables, especially in the summers. But cooking is not for me, I don’t enjoy cooking”. Mallika’s beau is a real estate businessman from Paris. She was last seen in Bollywood flick ‘Dirty Politics’ that didn’t do well at the box office.